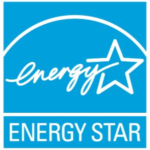 1999 Broadway has been awarded LEED Silver for Existing Buildings and Maintenance (2009 – 2017), and the ENERGY STAR® Sustained Excellence Award (2006 – 2016). These awards are symbols of our sustainability efforts, which drive many different operational areas that enhance the tenant experience including our IAQ policy, green janitorial products, and full building recycling program. Have questions about other sustainable programs at 1999 Broadway? Contact the property management team. Sustainability has been at the heart of the firm since mechanical engineer Gerald D. Hines founded the company in 1957. Over the decades, we have continuously partnered with leading manufacturers, universities, and engineers to pioneer new approaches and technologies that elevate the efficiency and value of every building, every investment. At Hines, sustainability is not a means to an end, but an ongoing practice that fosters communities and cities around the world. View the Hines Sustainability Report.